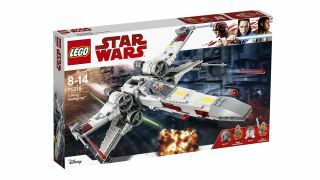 From Star Wars fighters to the Batmobile, add these popular LEGO sets to your collection for less. When it comes to creative play, you can't get better than LEGO. What started out as a humble little wooden brick in the 1930s, has since grown in to one of the world's most popular and sought-after toys, for kids and adults alike. And now, with Black Friday just around the corner, there's no better time to get your hands on some of LEGO's most impressive sets. Today Amazon has knocked up to a whopping 40 per cent off various LEGO sets, but you'll need to hurry. These deals are only on today and we don't expect stocks to last long. Below you'll find some sets now on offer, but there's plenty more where they came from over on Amazon. Prime members can access these deals as soon as they're available, however non-members will have to wait 30 minutes before they too can benefit from any discounts. Don't want t miss out? Sign up for a free 30-day Amazon Prime trial and get every deal as soon as it's available.